Jess Connolly is a gal who is in the thick of it. She is the co-owner of All Good Things Collective print shop and helped start both She Reads Truth and The Influence Network. She and her husband Nick planted Gospel Community Church in downtown Charleston, South Carolina where they live with their four children, who she’s crazy about, and their dog Deacon, who she’s still on the fence about. Like many women, Jess Connolly grasped grace but had forgotten holiness. 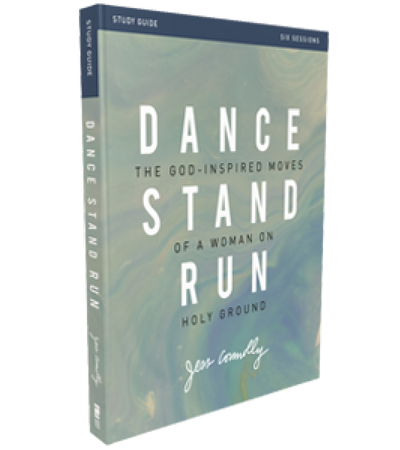 Dance, Stand, Run charts her discovery that holiness was never meant to be a shaming reminder of what we should be doing, or rigid rule-keeping, but rather it’s the profound privilege of becoming more like Christ. That’s when we start to change the world, rather than being changed by it. Step into the movements of the abundant life: dancing in grace, standing firm in holiness, and running on mission.